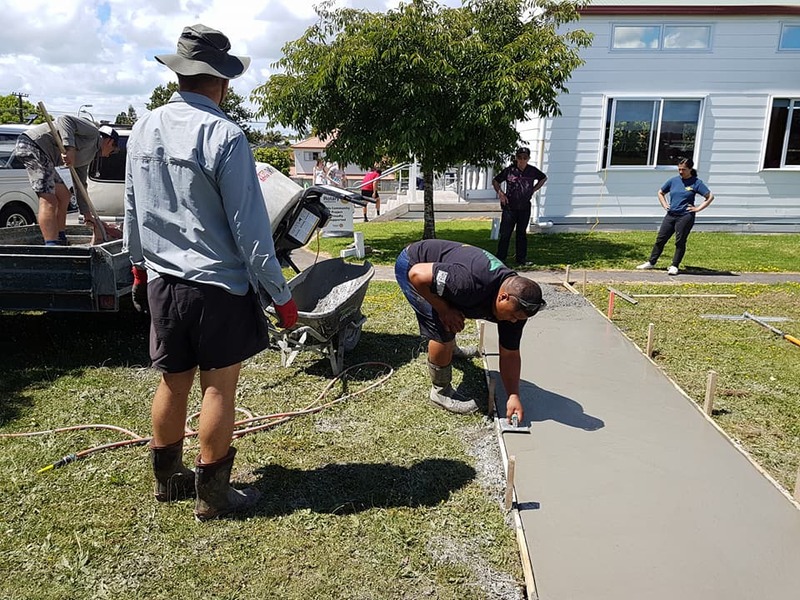 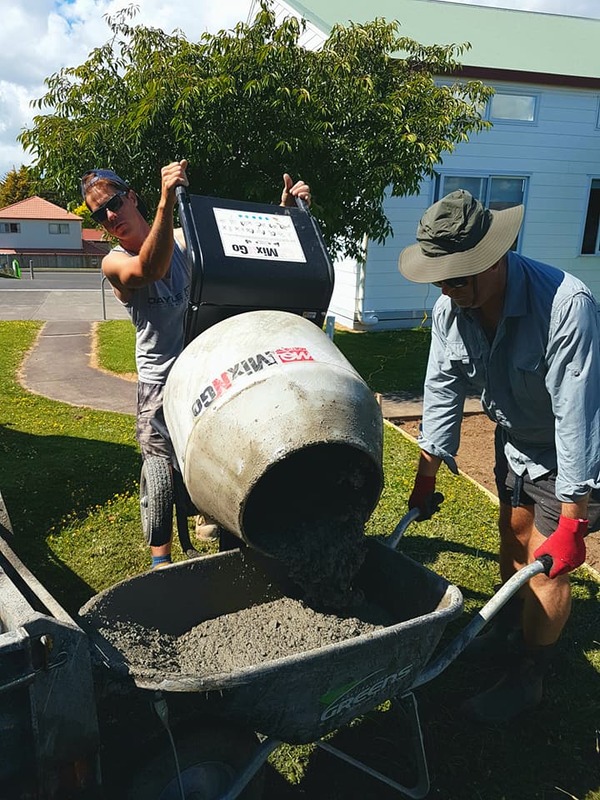 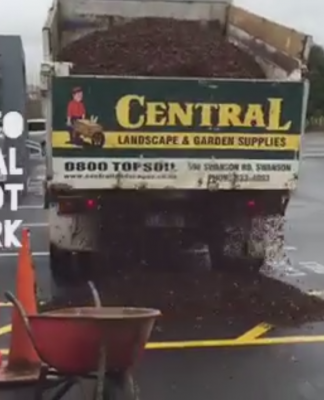 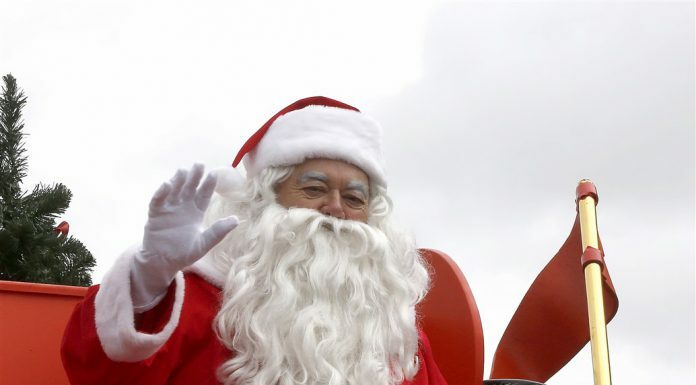 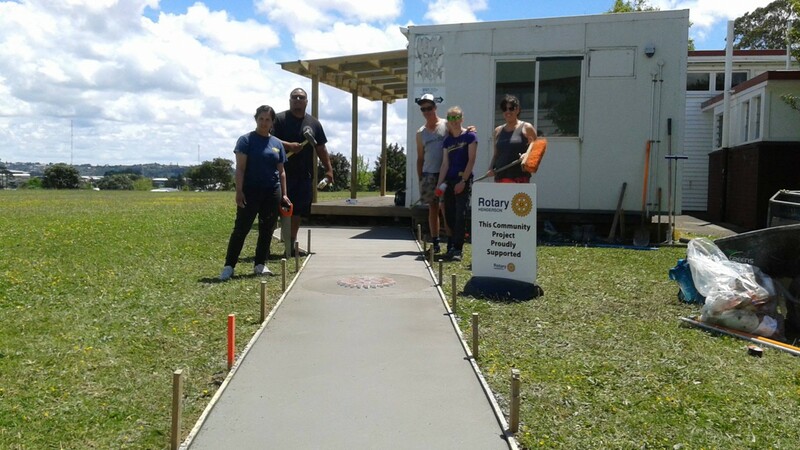 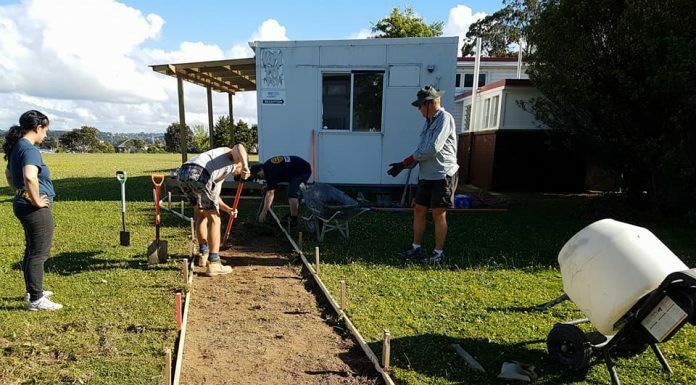 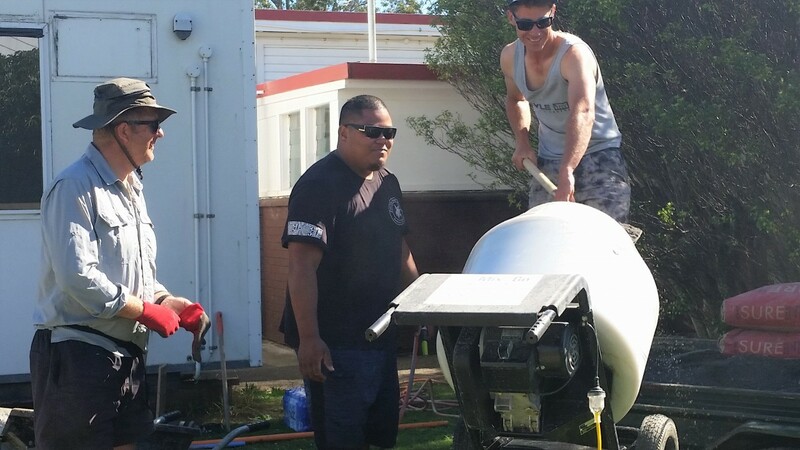 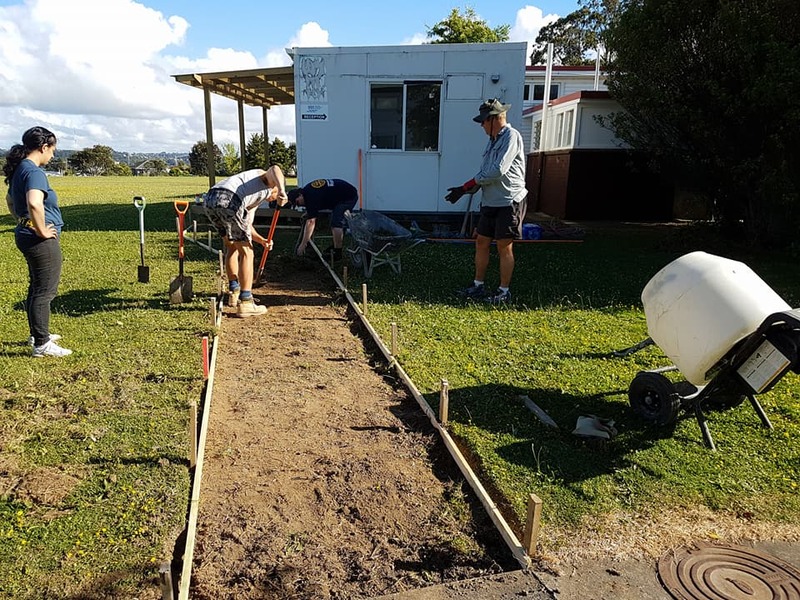 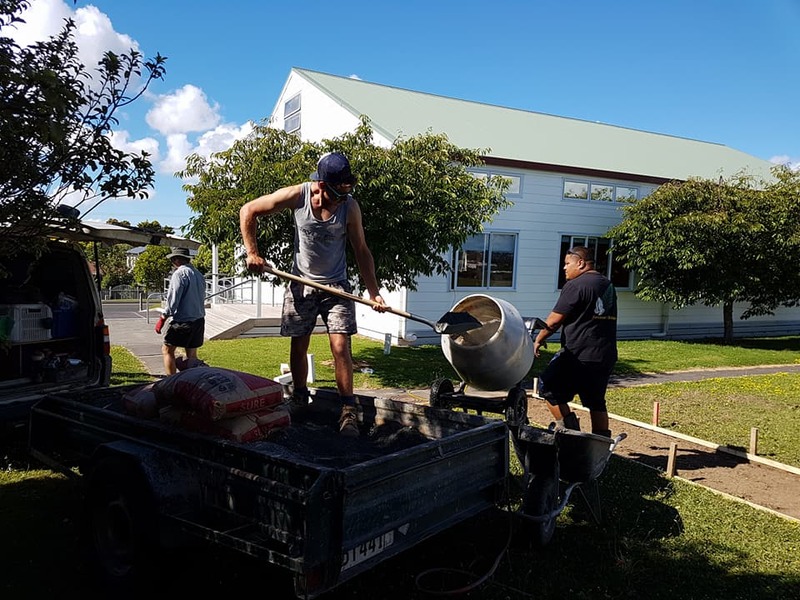 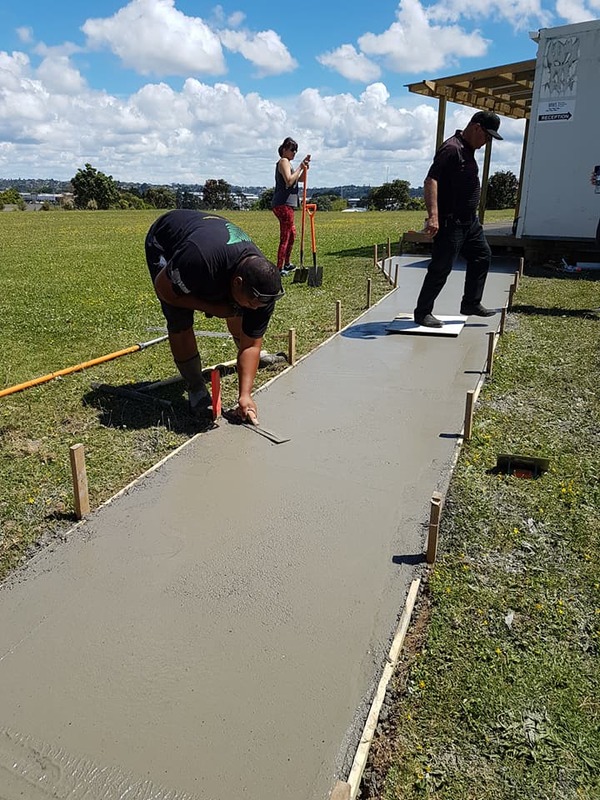 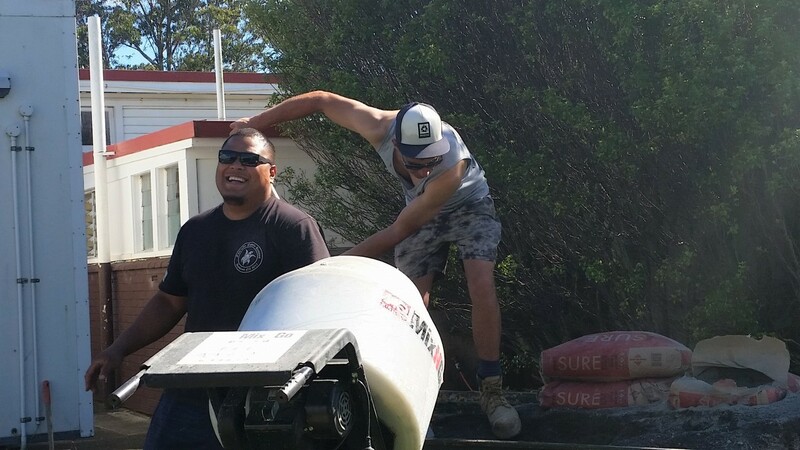 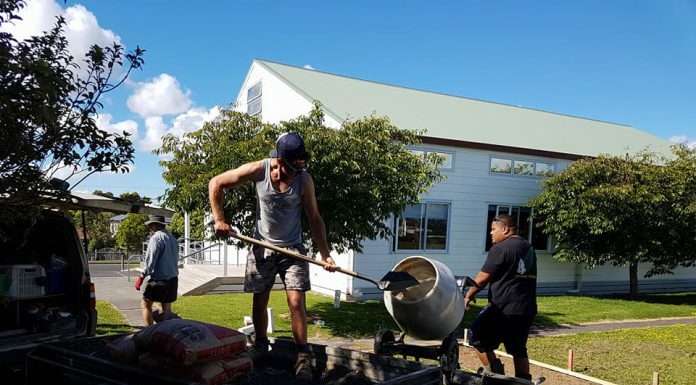 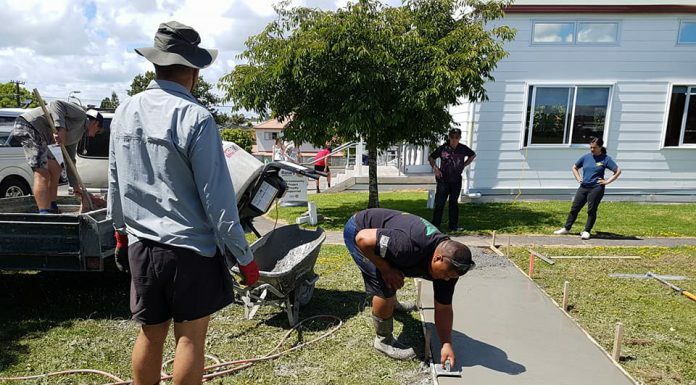 In December 2017 Henderson Rotary’s satellite club Rotalite West got their hands dirty and constructed a new concrete path at Edmonton Primary School in Te Atatu South. 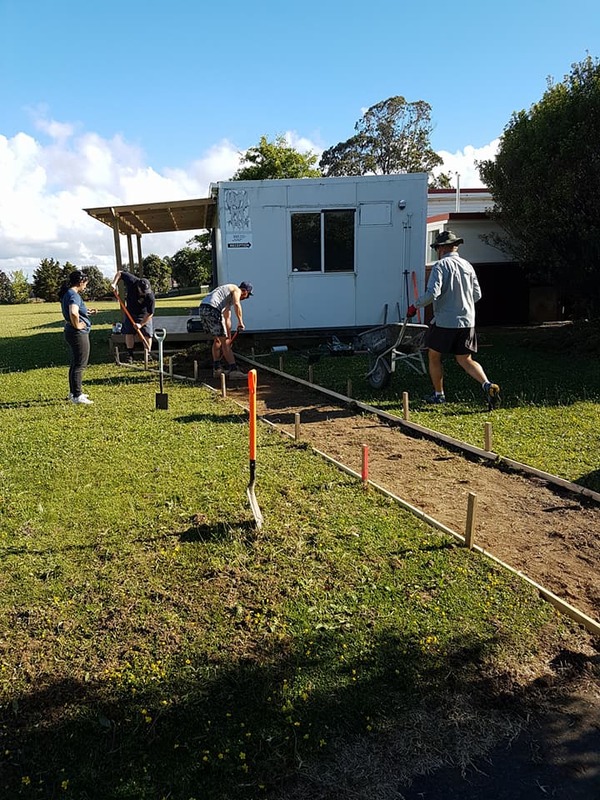 The school acquired a portable building which is being used by community groups and the school, however to get to the building meant walking across a section of grass that gets very wet and muddy over winter. 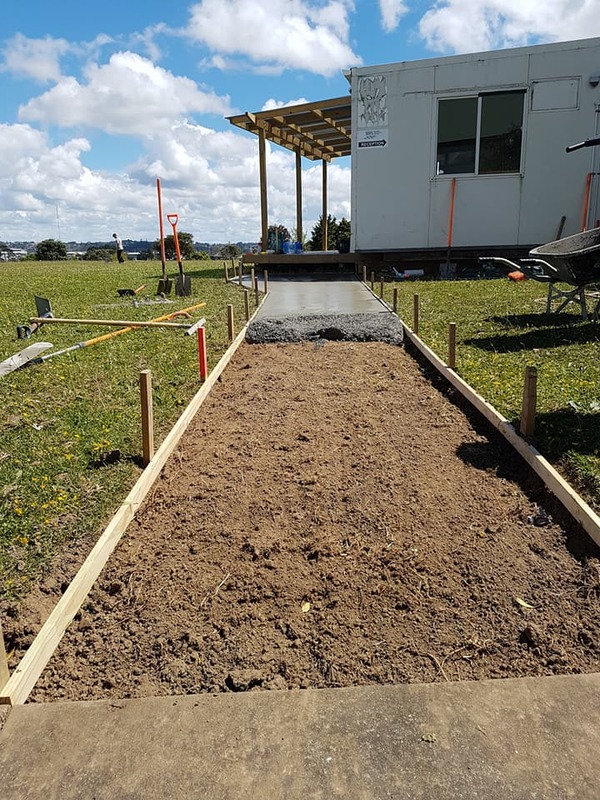 Rotalite stepped in and paid for and laid a lovely new concrete path. 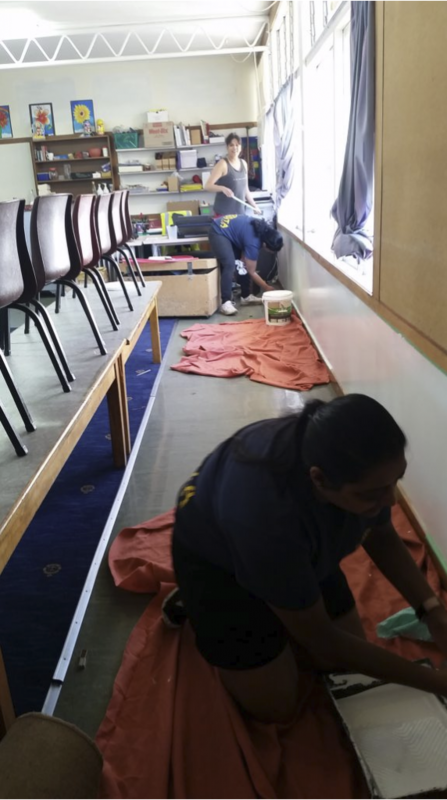 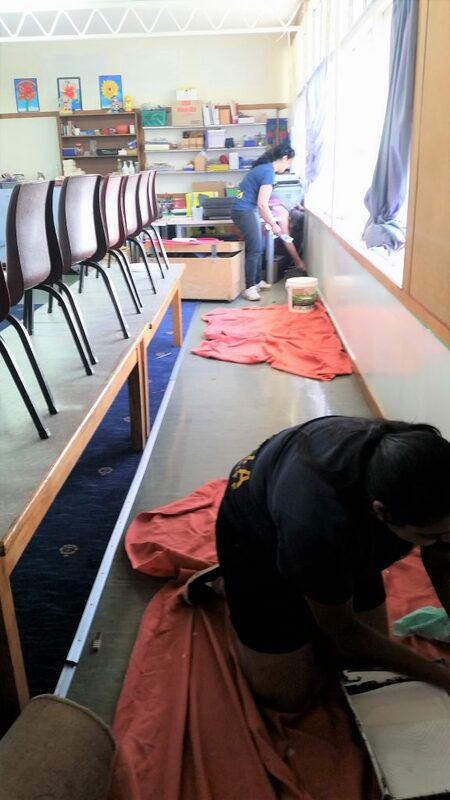 While we were there we also lent a hand painting the inside of a classroom. 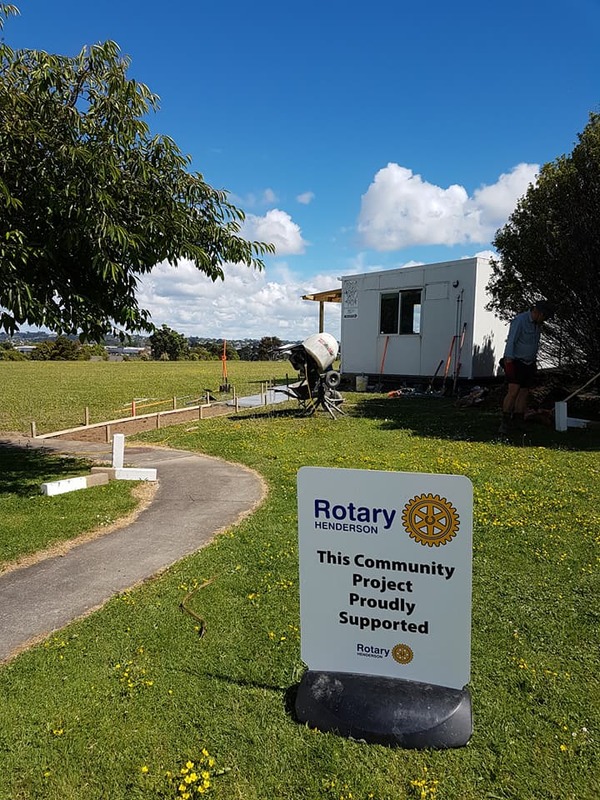 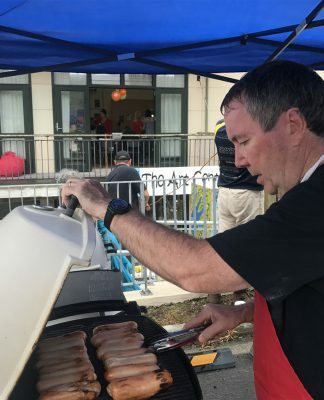 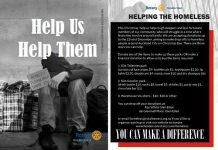 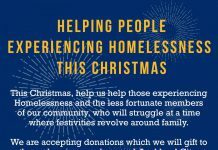 The school was thrilled to have a community group like Rotalite and Henderson Rotary offer to come into the school and provide this service. 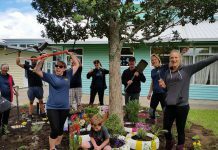 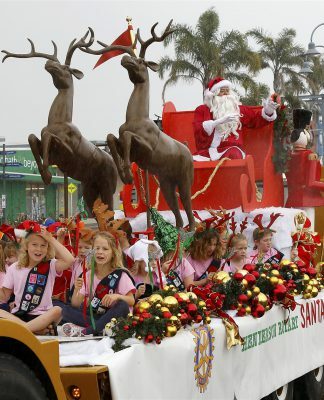 A card from Principal Margaret Samson read: “To Rotary, Thank you so much for giving us your time and energy for our school projects”. 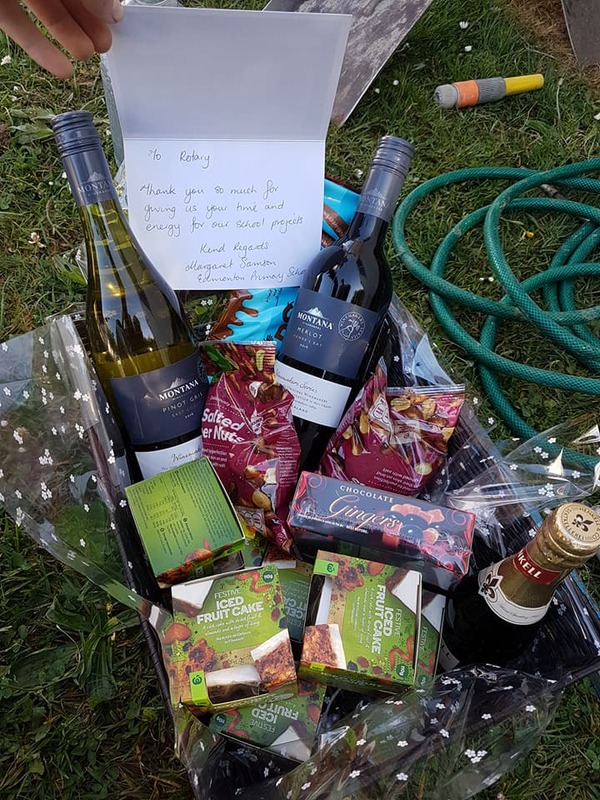 Margaret – you’re very welcome. 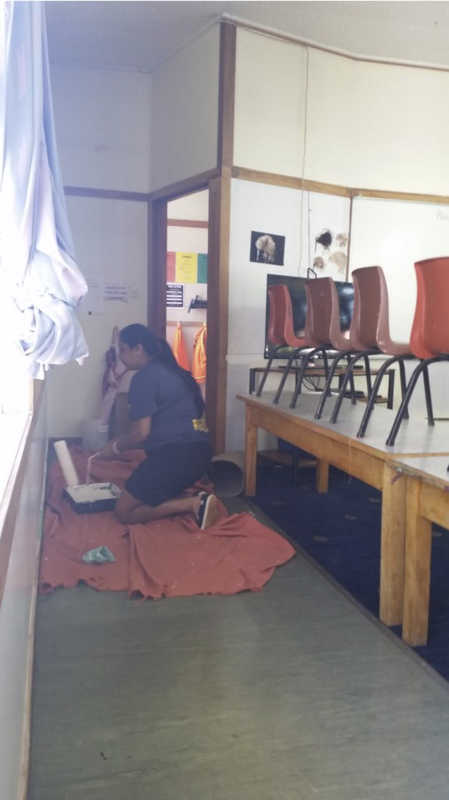 Edmonton Primary has supported our work by allowing us to utilise their school hall for two fundraising Quiz nights so it was great to be able to repay the favour.